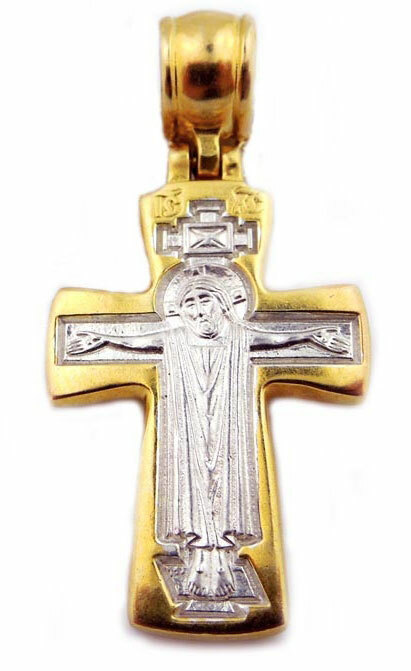 This reversible cross with little bit extending ends is a retort of the most ancient crosses widely widespread in all the world. In its correct four-final form sacred fathers of Church saw a symbolical image of the world created by the God. The crossed crossbeams connected, they compared with reaching in breadth and rising from the ground to the Sky Installed, connected and strengthened in the Creator. Size with the bail: 1 1/2" x 3/4"
Sterling Silver .925 and Gilt.